After working for both national and independent agencies in the Leeds area, Jo Holdsworth established Jo Holdsworth Recruitment in January 2005. Jo felt there was a gap in the market for a recruitment agency to offer a more consultative approach, to support clients and candidates by offering a tailored and personalised service. 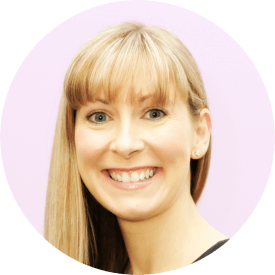 From the word go, Jo was determined that her consultancy would offer a premium level of service, focusing specifically on her previously proven areas of expertise. A key to JHR’s success has been to recruit talented, intelligent people who share the same passions and long-term aspirations for JHR as Jo herself does. Jo lives in Barwick in Elmet, Leeds with her husband and daughter, Jo enjoys travel and experiencing new cultures. Jo Holdsworth was an incredibly hands-on, supportive Managing Director and I learned so much from her extensive knowledge and expertise. Solutions orientated, Jo, always made herself available to offer advice and suggest new ideas. Employee satisfaction was of the utmost importance at JHR and it was clear that Jo genuinely cared about the happiness of her team. By offering one of the best reward packages in the industry, Jo ensured that a success for the company resulted in personal success for the consultant. Jo's manages her staff (no matter what level) with respect. She is there for support if needed, but as an employee you know what is expected of you and providing you are delivering; you will be left to get on with building your desk. I found JHR's commission and pay structure to be higher than the industry average in the area and the complimentary nights out and wine were always appreciated! Due to their long-standing presence in the local market, JHR has the privilege of key clients relationships with pinnacle businesses in the area. Jo was always supportive and offered great advice in ways to approach certain tasks or to overcome obstacles. Jo created the right environment that enabled the team to focus on their work and be successful. I have had the pleasure of working with Jo both as an employee and a supplier. I hold the greatest of respect for Jo, she taught me so much during the time I worked with her at JHR and this has helped me grow and develop into the role I am now in. Without Jo I wouldn’t be where I am today and I will be eternally grateful to her for that. I wish Jo and JHR the best for the future and would recommend her (and them) to anyone.